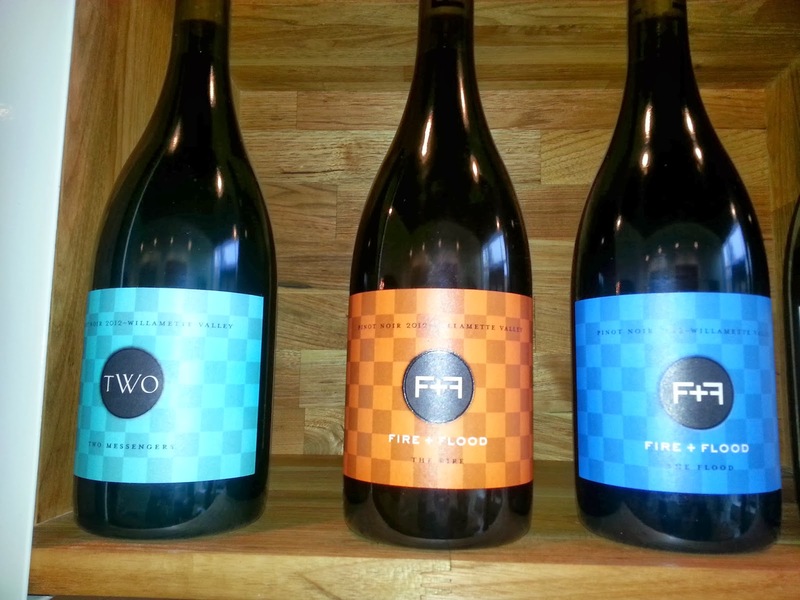 Historic Downtown Newberg, OR recently welcomed Fire + Flood, Oregon at the end of September, a new tasting room by Chapter 24 Vineyards with a vision to showcase everything the Willamette Valley has to offer. While still new, the plan is to build up to pouring wines from 10 to 15 local guest winemakers featuring two wines from each in addition to their four Fire + Flood label Pinot Noirs. The Fire is in reference to the volcanic soils, iron red in hue that are found largely within the Willamette Valley's Dundee and Eola/Amity appellations. 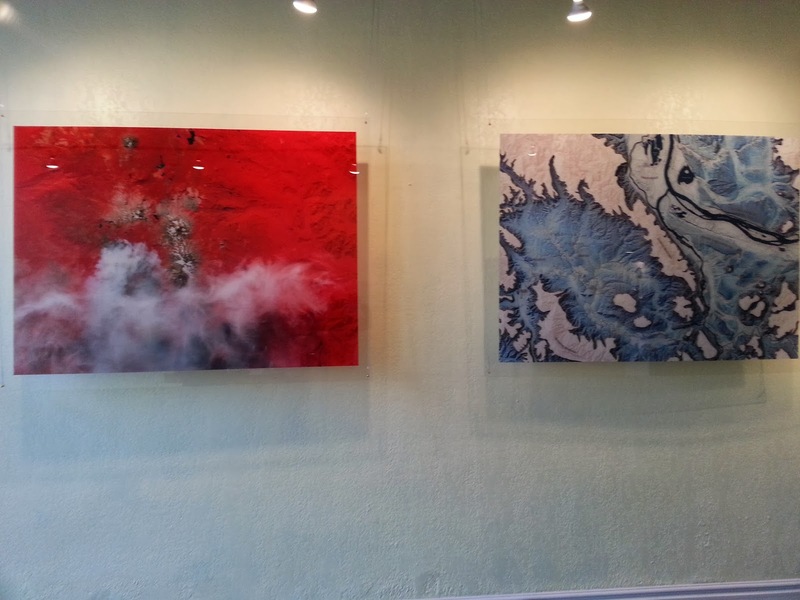 The Flood refers to the glacial cataclysms that resulted in the Missoula floods which have come to form the Valley and leave behind it's mark in today's rocky soils. The guest wines will be from winemakers who don’t have public tasting rooms due to their small size, giving tasters the chance to sample incredible wines they wouldn't otherwise have the opportunity to experience. The idea is that eventually you’ll have the unique choice of a fully customizable tasting flight by selecting a few wines from the 20 to 30 available. With this format, you won’t just be sampling from one particular sub-AVA, but wines from all over the valley. Because Fire + Flood, Oregon has a love for the story behind the wines of the Willamette Valley, they’ll be adding in an audiovisual wine wall this January. This wall will allow tasters to hear the stories behind the wines from the winemakers themselves. If you’re going to taste in the Willamette Valley, this will be an experience you don’t want to miss as clearly this isn’t just another tasting room. Chapter 24 Vineyards is a three-fold partnership between Mark Tarlov, Mike D. Etzel, Jr. and Louis-Michel Liger-Belair. Mark Tarlov, a film producer, founded Evening Land Vineyards in 2005 and launched Chapter 24 after leaving there in January 2012. Mike D. Etzel, Jr. is a native Oregonian and the son of Beaux Frères’ winemaker, Michael Etzel. The younger Etzel worked at Brick House Vineyards and WillaKenzie Estate prior to becoming the winemaker for Chapter 24 Vineyards. Louis-Michel Liger-Belair comes from Burgundy where some of the world’s most renowned Pinot Noir is made. He’s looking forward to seeing how his winemaking techniques will do with the vineyards of the Willamette Valley as he serves as the winemaking consultant for Chapter 24 Vineyards. The idea for him isn’t to make a Burgundy style Pinot Noir here in Oregon but to make amazing Oregon Pinot Noir. The winemaking of the pair is an old-world style with minimal handling and spontaneous fermentation. The grapes are allowed to infuse as whole berries at a moderate temperature, in an oxygen rich environment until pressed. 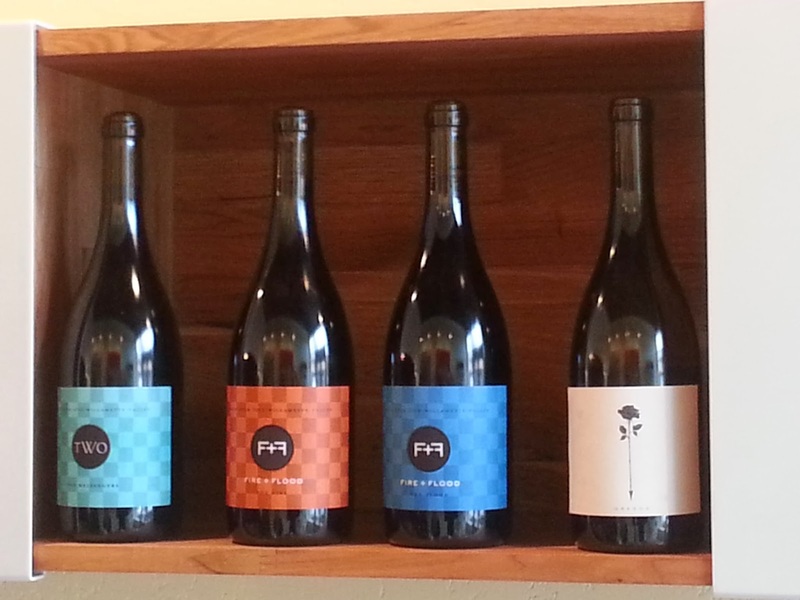 The tasting room is currently featuring four 2012 Pinot Noirs from the Fire + Flood label as well as a Riesling and a Pinot Noir from Matt Berson’s Love & Squalor. 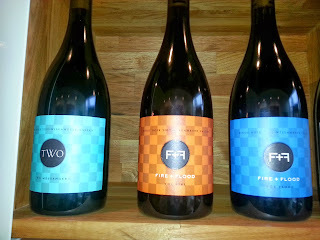 The four 2012 Pinot Noirs available under the Fire + Flood Label are: Two Messengers, The Fire, The Flood, and The Last Chapter; four unique Pinots with their own personalities. The Last Chapter ($90) is the beautiful convergence of the best from The Fire and The Flood highlighting all that this diverse wine region has to offer. In all, Chapter 24 Vineyards produced approximately 4,200 cases of Pinot Noir from the 2012 harvest. 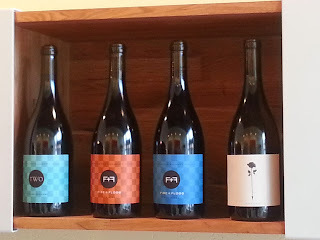 Fire + Flood, Oregon and Chapter 24 Vineyards are creating a new tasting room experience and fantastic Pinot Noir with a unique focus on soils. -Checkout Renae's blog Pass the Pinot where she shares her impressions and experiences with wines and wineries of California, Washington and Oregon and follow her on Twitter at @passpinot.